You can help us work out if our planting work and all that spring rain has brought any new frog friends into Newell’s Paddock. 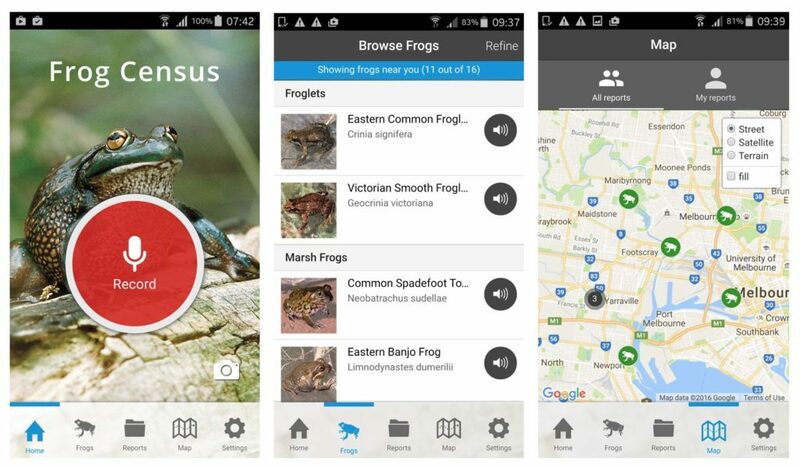 Melbourne Water have released a new Frog Census app on iPhone and Android. We’ve been regularly hosting Frog Census events, but now anyone with a smartphone can report on frogs. The app makes it easy to record pictures and sounds and send them off to Melbourne Water, who then identify the species (even just using the sound!) and add them to their report. How cool is that? Reports like these really help organisations like Melbourne Water and council understand the environmental value and health of Newell’s Paddock. The app has some pictures and frog sounds to help you work out what you’re looking and listening for. November to January is the best time to listen out for the endangered Growling Grass Frog so now is a good time to have a wander, hit record, and make Newell’s Paddock a better place.